The Amazing Concealer from Amazing Cosmetics! Wake up. Look at face. Grimace. Repeat. There are those days when my skin doesn’t just need a little help, it needs a full SOS custom paint job. Red rings around my nose, dark circles under my eyes – foundation just doesn’t always cut it. 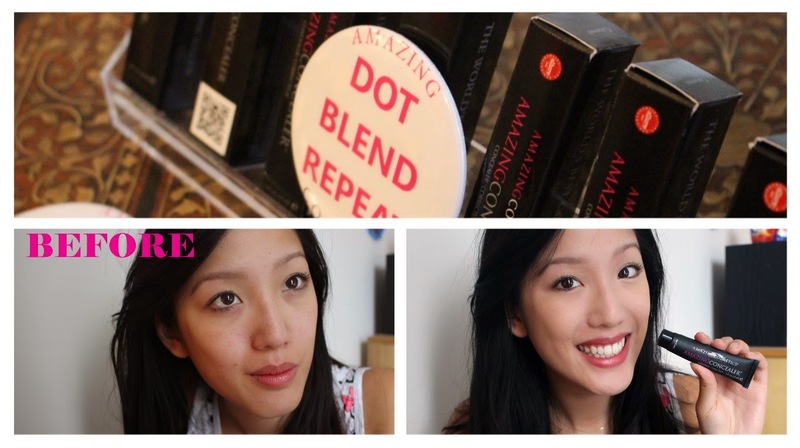 Enter, stage left, the Amazing Cosmetics Amazing Concealer! Could a product sound any more sure of itself?!! Used by the likes of SJP and Gwyneth Paltrow,the Amazing Concealer is a bestseller from the Amazing Cosmetics range. I’ve not tried Amazing Cosmetics before so (like every beauty junkie out there) I was so excited to try this new brand and this new concealer! 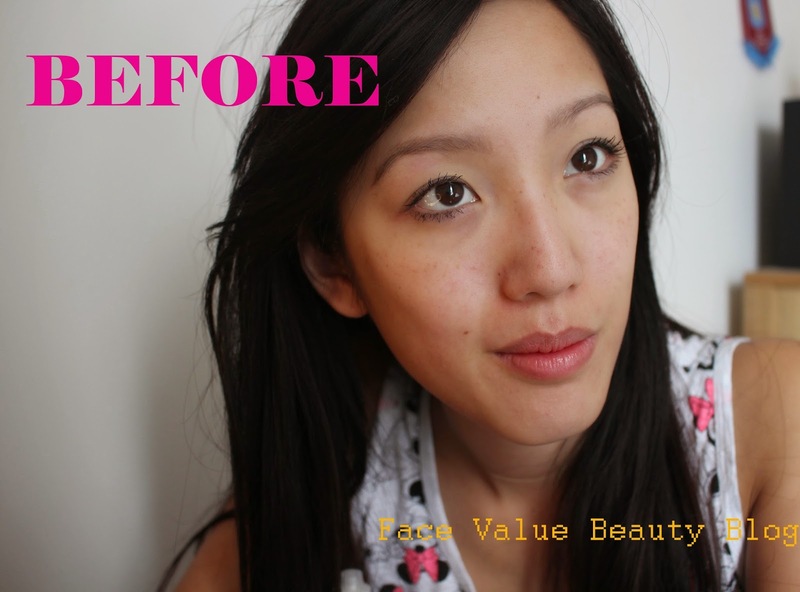 I don’t want to a) ruin the surprise and b) be lazy with my adjectives BUT Amazing Cosmetics Concealer is….well, amazing! Okay okay, I’ll give you some more detail in a bit but lets say that no one’s getting sued by Advertising Standards anytime soon. I was introduced to this power-product at the UK launch! I tagged along with some blogger pals who I always see at events! Big shoutout to Tanya from GlamGlitzGloss and new blogger buddies Fiona from Time2Gossip and Jamie from BeautyRocks! Aloha. The Amazing Cosmetics Amazing Concealer (say THAT 10 times fast) is a densely pigmented, high-coverage concealer which only needs the tiniest dot to seamlessly cover blemishes, uneven skin and dark marks. Oh yeah, it’s water resistant too. POW. It’s surprisingly blendable for such a pigmented concealer and trust me, a little bit goes a lonnnng way – I only needed a dab in order to cover my whole face! For me, the best thing about this concealer is it’s buoyancy. I know that’s a really weird word to describe concealer, it’s not exactly a life raft on my face (but boy oh boy is it a life saver, whey!). What I mean is that its almost 3D in finish which really fills out lines and gives a luminous effect. It actually reminds me a bit of stage make-up but less greasy! Some concealers are a little thin and anaemic in texture – like 90s grunge models compared to Amazing Concealer, your Victoria’s Secret bombshell. Here’s me before concealer, looking all blah and tired. I then dot it over my face with a pointed concealer brush before blending. The only caution I have about the Amazing Concealer is to do with the finish. Luminous and fresh, it has a tendency to end up looking slightly shiny – especially on oily skins– so a dusting of powder is needed if it’s going to last the whole day! Because the Amazing Concealer is so highly pigmented, I don’t recommend using it all over the face in place of foundation unless you have a perfect colour match or need stage makeup – with the wrong colour, the over-perfection might end up looking like a mask! You also need to remember not to squeeze out your normal pea size blob because really you only need a quarter of that! I think I’ve probably wasted more than I’ve used!! Moment of truth – would I buy it for myself? Y’know what, although at £19.50, it might seem a bit steep, I would definitely buy another tube of this Amazing Concealer as it does last ages!! There is a brillliant range of shades too – 20 shades! Have you tried anything by Amazing Cosmetics?! 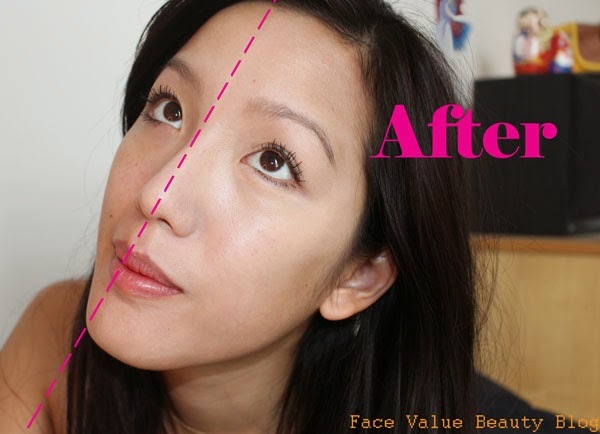 What do you think of this Concealer? If you liked this post – please take 20 seconds to vote for me to cover Beauty at LONDON FASHION WEEK for YahooLifestyle! LONDON FASHION WEEK! Previous Post Xmas Is Coming… Dowal Walker Winter Wonders revealed! Next Post Birchbox Fundraising Manithon for Coppafeel!